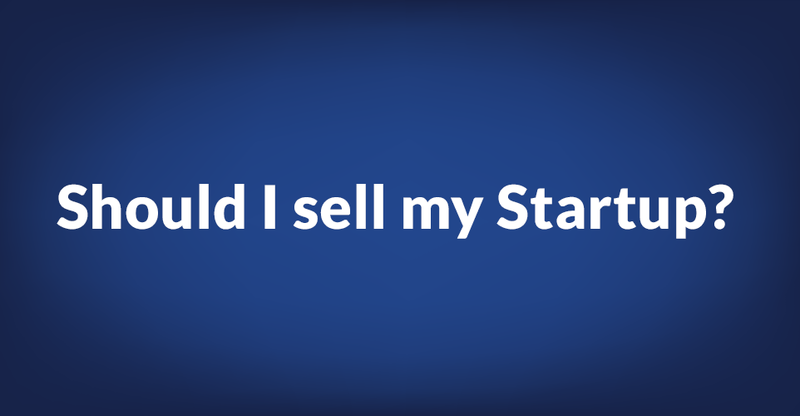 GCA - Garibaldi Capital Advisors | Should I sell my Startup? Question #1 goes to the notion that your next best alternative must always be to continue running and growing the business – to stay the course, plain and simple. Even with a single strategic buyer in hand, tension can still be manufactured by telling a convincing story about the performance you are on track to achieve if you continue to run the business on a stand-alone basis. The record of this intent is typically a fully articulated financial model, built as a bottom-up defense of revenue growth and profitability – demarked by product line, channel partner, and geography, or whatever other levers are most clearly tied to growth – together with a tidy management presentation that wraps up the argument in an easy-to-deliver package. Question #2 is all about the size of the market opportunity, and then simply: why you are going to capture that opportunity over the inevitable competition. Answering this question with authority always requires a convincing statement of vision, and nearly always benefits from expert and highly defensible statements of fact about market trends buyer behaviour. If you can make it sound disruptive and otherwise unanticipated, all the better. Anonymizing a recent example from a recent GCA engagement: suppose a company sells a solution that is presently only required to enable 5% of any given market, but the leading vendor in the ecosystem is about to release new silicon which pushes that figure to 80 or 90+%: there exists a forthcoming disruption that will increase the market size by an order of magnitude, within a very short period of time. That sounds like the kind of company that a growth investor might want to partner with. Question #3 goes to the existing capitalization table, the so-called ‘equity stack’, and your existing investors’ return expectations. Every equity investor (every investor, period, for that matter), has some minimum risk-adjusted return expectation for the capital they’ve put at risk by investing in your business. Sometimes those expectations are explicitly protected with preferred shares that bear either 1) liquidity preference, or 2) accrued dividends, (or both) which must be repaid ahead of any proceeds received by common shareholders. We have on several occasions witnessed first-hand situations where a founders of 10 years in a technology startup have assumed a new equity partner, only to receive an unsolicited offer to sell the business 6 months later. The outcome is typically that the entrepreneur is thrilled with the offer, but the new institutional partner and preferred shareholder is vastly underwhelmed. If they’ve negotiated a block on any sale in the shareholders agreement, they are typically inclined to exercise it – their return over a 6 month hold period may be positive, but their overall absolute return is insufficient to meet the expectations they’ve set with their own limited partners. One of the mechanisms to avoid this issue is the provision for secondary liquidity to founders, which is something I’ll address in a separate piece. Question #4 is a highly subjective but equally relevant one. Founders can easily pour a decade of their life into a startup, which is at some point no longer a startup. Multiple rounds of equity financing and dilution typically ensue, and at some point, it can be attractive to cash out and move on. If the opportunity to sell is to a strategically motivated buyer and others can be introduced into the process to create legitimate tension, the numbers can be made attractive, even to the common shareholders. The flip side of that scenario is the one in which a single lowball offer arrives, years after the last institutional money was invested. Everyone is typically tired, and what then typically ensues preferred shareholders capture the bulk of the consideration, leaving little for the common shareholder. Given the pressure to liquidate and the prevailing fatigue level, such a transaction might still make sense. As a serial entrepreneur, the feeling is often that if your investors are not wildly dissatisfied, your reputation as an entrepreneur is intact and you remain fundable into your next startup. I recall one recent exit which was your typical ’10 year overnight success story’; the exit was 9 figures, but the common shareholders were left with scant little to show for it. So much capital had been put to work over the years and the preferred equity stack so deep, that relatively little was left for them. In the end, the deal went by a plan of arrangement that saw the common shareholder receive a little more, and everyone walked away only slightly dissatisfied. Question #5 and 6 are related. Very often there is one buyer that has strategic interest, above the rest. Their motivation relates to what they perceive that they can do with your product or service – once in their hands – that you could not otherwise realize as a stand-alone business. Sometimes that relates to access to markets and customers that you couldn’t reach alone, and sometimes it’s the integration of your core IP into their products. Regardless, its value that remains unrealizable other than if they own your company; cannot otherwise be fully captured through partnership or joint venture, and often compels them to offer a price which reflects the core stand-alone financial value of your business, plus some meaningful percentage of the synergy value that they perceive will be captured post-transaction. I recall exiting a business early in my career to a strategic silicon vendor which had the typical buy-versus-build decision to make relative to our technology stack. It was unclear they had the technical capacity to reproduce what we had. If they did, it was doubtless they’d be delayed to market. And if they looked elsewhere, there existed a single alternate vendor – which had recently been acquired by one of their main competitors. Bingo. They purchased our company for a huge implied strategic lift, and made good on the value by integrating our core IP into half a dozen of their leading products within 12 months. As much as they paid for our company, they had mostly recouped that value within the first 18 months post transaction (they were a publically traded semiconductor vendor, and the markets were handsomely rewarding revenue and growth, at the time). Finally, to question #7: the prospect of competitive tension. It goes without saying that if more than one buyer exists, and both are sufficiently motivated to transact, the price ought to move up and the terms ought to improve. In reality, one strategic stands very often stands above the rest relative to perceived synergy value (see #6, above). The key is to uncover at least one other ‘stalking horse’ bidder, sufficiently motivated and with sufficient perceived synergy value to at least have the willingness to make a bid to keep the other party honest. Sometimes two offers provide for significantly different earn-out structure. If this is the case, the two must be equated through risk-adjusted present value. In one recent example, two competing offers differed significantly in structure: one was a traditional offer to purchase 100% of the shares of target, with minimal earnout. The impled EBITDA multiple was about 5x trailing adjusted earnings, which wasn’t particularly compelling, however the offer paid the vendors full value at close. The alternative was an offer to acquire 33% of a business at 8x trailing adjusted EBITDA, with a contractual obligation to purchase the other 67% within 2 years at the same fixed multiple of trailing EBITDA. The second offer provided a superior multiple and the prospect of capturing growth to the upside. They ultimately went for the economically superior deal, with the understanding that there exists some manageable risk associated with performance and the buyer’s capacity to satisfy their obligation in the second phase of the transaction. But it was ultimately a far superior deal, and they went for it. The decision to sell is rarely emotionally straightforward. A business often feels like a living, breathing entity – into which years or even decades have been invested. If you are going to sell, a well-run and fulsome M&A process will ensure discovery of the best new owner, on the best terms, at the best price. See our tombstones for examples of those GCA have helped through M&A processes, like InMotion, ARAS 360, Retsly, and BBTV.